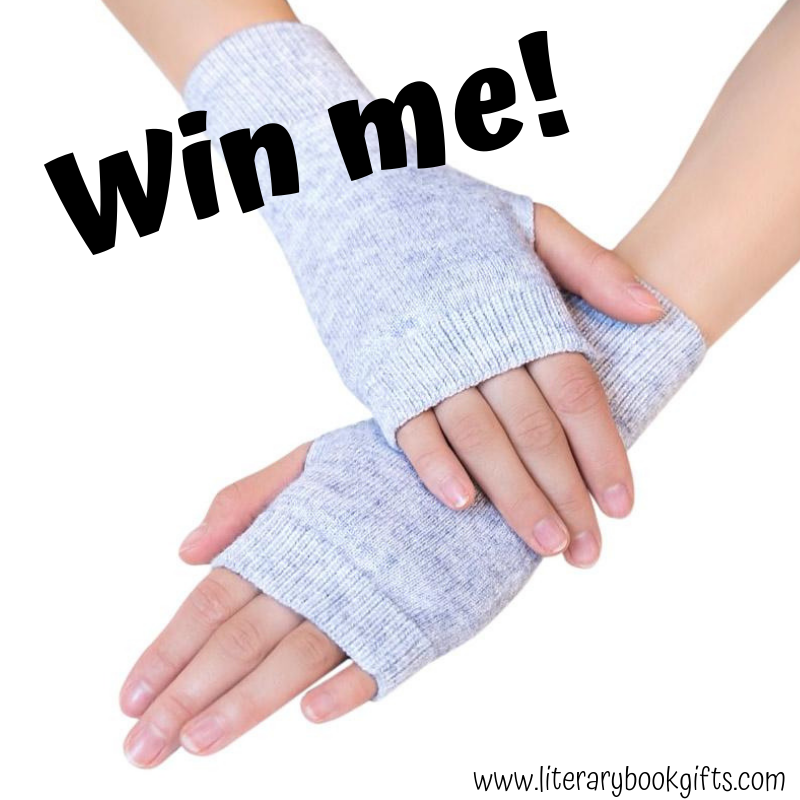 Thanks to Literary Book Gifts I've got a fab giveaway for you all today: a pair of super soft cashmere blend writer's gloves - perfect for keeping your hands warm even as you need your fingers free for typing, writing, playing Disney Emoji Blitz... You know, all the important things in life! The gloves are one size fits all, but the winner gets to pick their colour of choice. Pictured above are the light heather grey, but there are 13 colours in total, ranging from a sombre black to bright electric blue. #5. 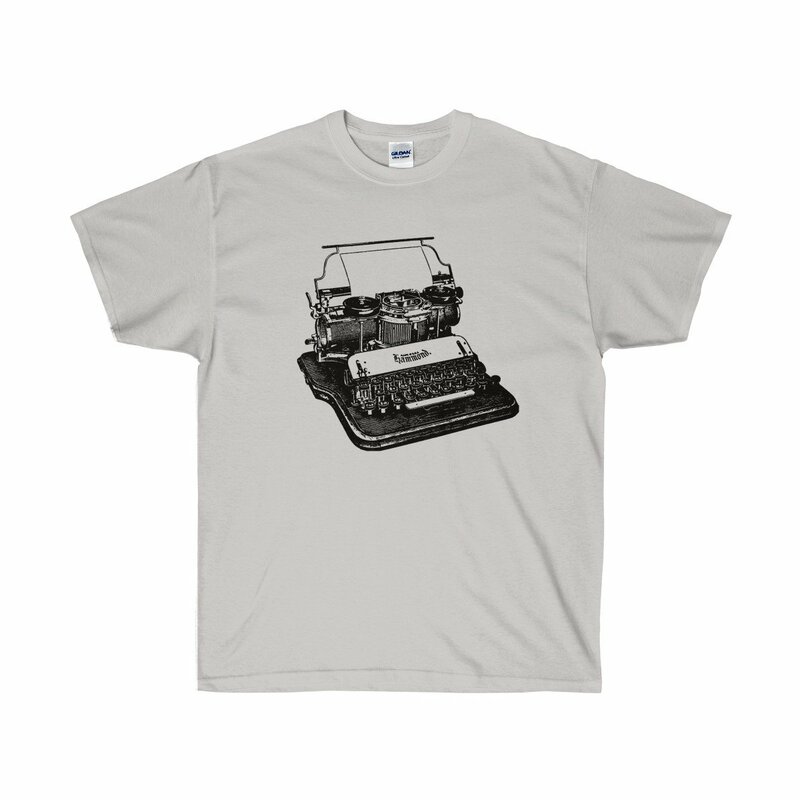 Typewriter T-shirt (Men's). Who doesn't love a simple graphic tee? Men's T-shirts are 100% cotton, come in eight sizes from S to 5XL, and this particular one is available in twelve different colours. #4. 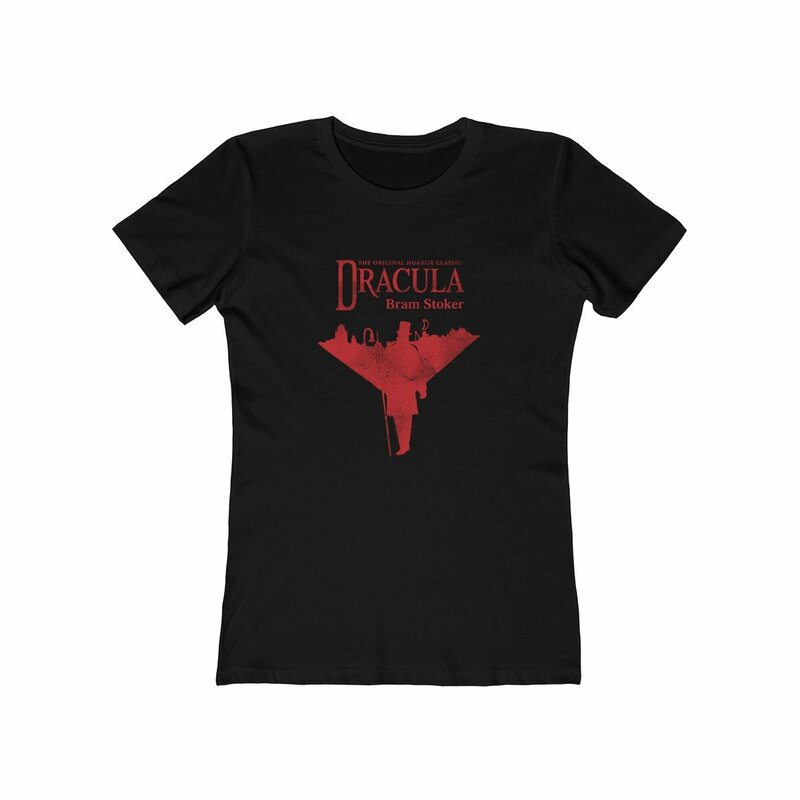 Dracula T-shirt (Women's). Dracula is one of my all time favourite books, and I think the design here works really well. Women's tees are 100% cotton and come in seven sizes from XS to 3XL. This one is available in nine colours. #3. 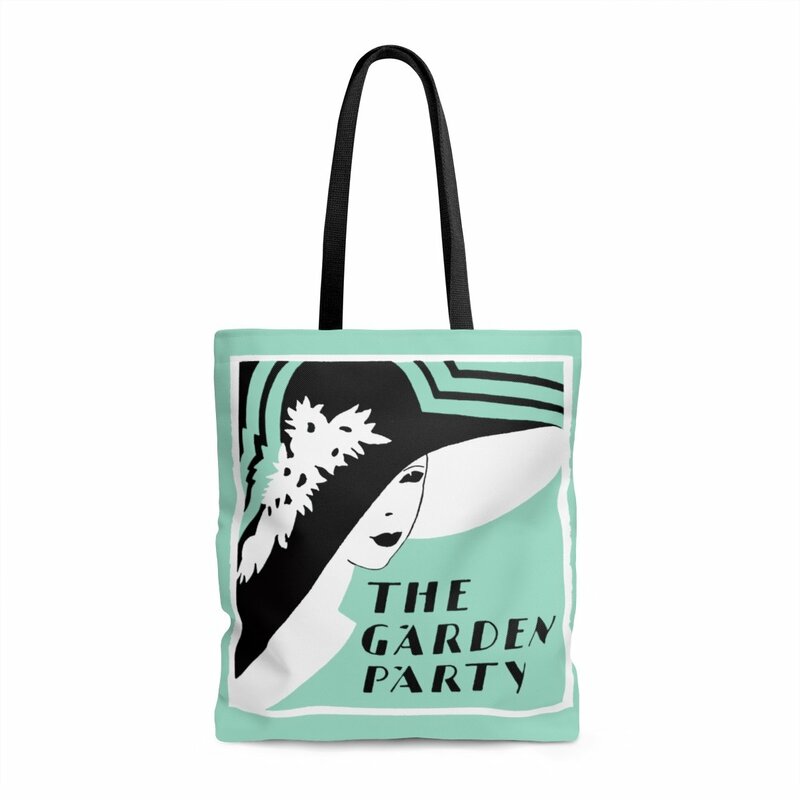 The Garden Party Tote Bag. I love the bold retro design of this one, based on the book by Katherine Mansfield. The tote bags are made of 100% polyester, have black cotton handles and lining, and boxed corners. They only come in one colourway, but there are three different sizes available - small (13in x 13in), medium (17in x 15in), and large (18in x 18in). #2. 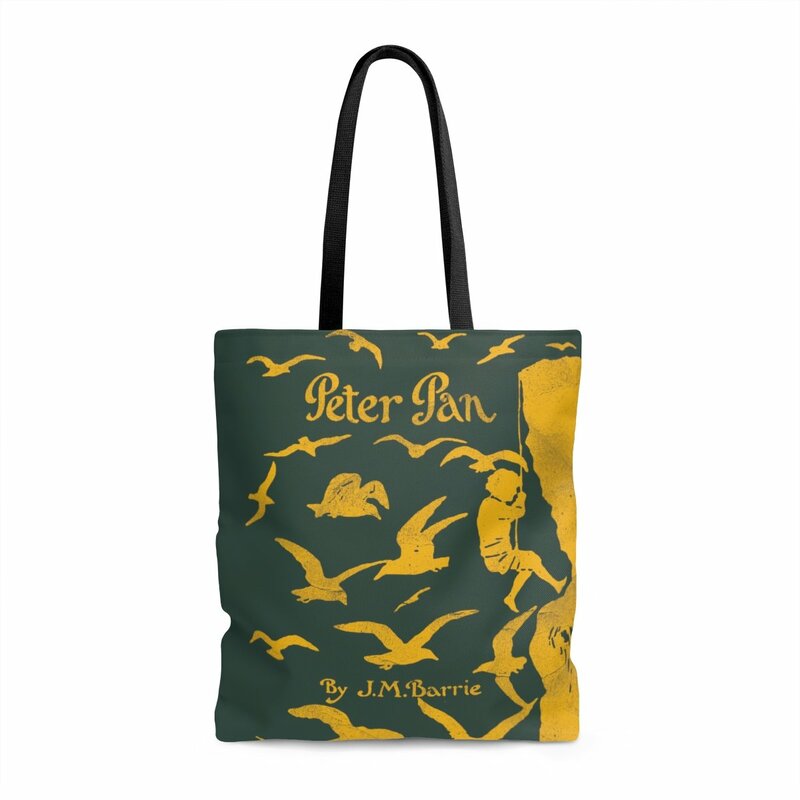 Peter Pan Tote Bag. The colour contrast here is really cool. #1. 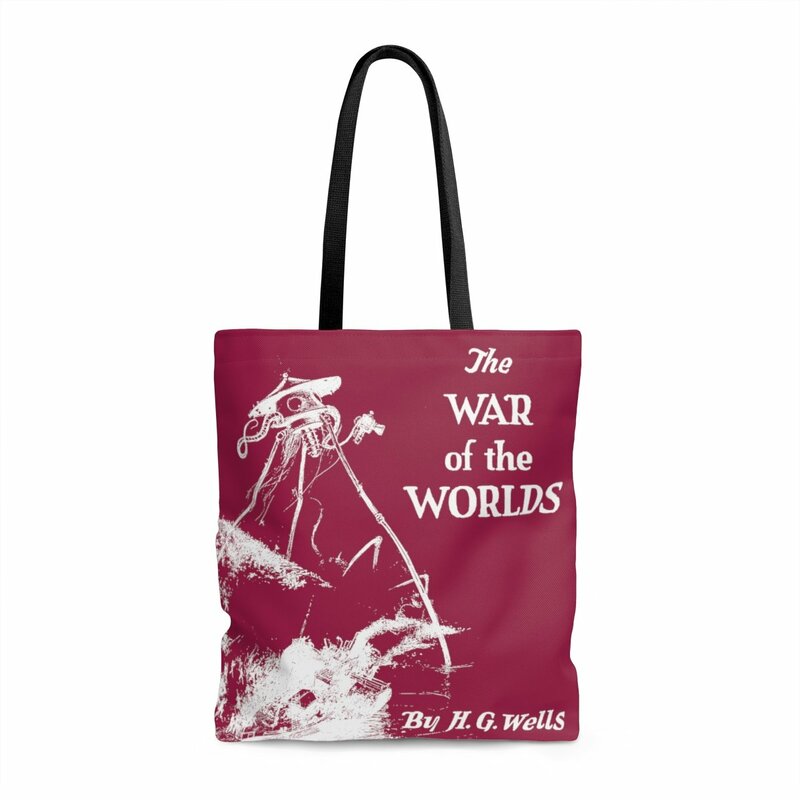 The War of the Worlds Tote Bag. Totally iconic! So, for your chance to win, pay a visit to Literary Book Gifts and let me know your favourite item in the comments below. T&Cs: This giveaway is open internationally and will end on May 10th 2019. The winner will be contacted by email to ask for their mailing details and colour choice so I can place the order. Delivery time is estimated at 4-6 weeks. No cash alternative available.